Online ordering menu for Amigos Grill & Cantina. 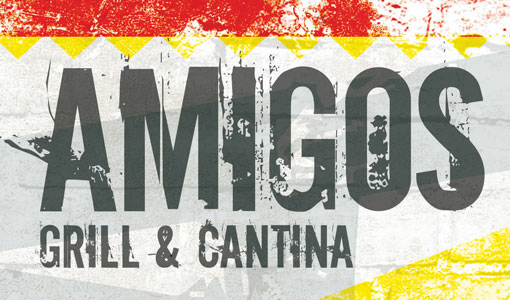 Welcome to Amigos Grill & Cantina in Kansas City, KS. We are a family friendly sports bar serving the best Mexican food and margaritas in Kansas City. We strive to use fresh ingredients making tasty Mexican food including Burritos, Tacos, Enchiladas, Wraps, Salad. More food choices on our online menu, Order Online for Carry Out. Come with your family or friends and enjoy a Mexican meal. We are located on South 47th St and Shawnee Dr, near I-635 and I-35. Few minutes driving from Merriam Town Center.